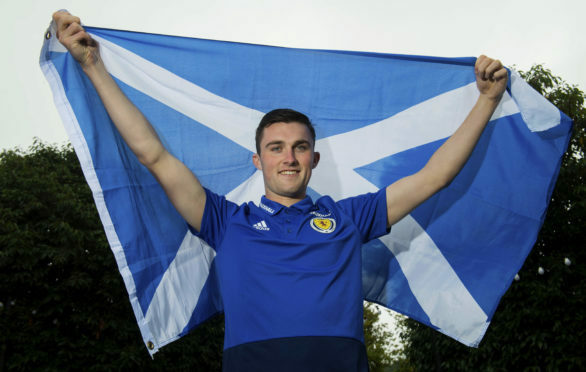 John Souttar is in line for his first Scotland cap. Hearts man Souttar could make his debut tomorrow night against Belgium and after Achilles and hip problems, he finally feels he has rediscovered his best form. A ruptured Achilles against Celtic in January 2017 sidelined him for the rest of the season and a hip injury curtailed his first involvement with the Scotland senior side, when he had to withdraw from the summer tour to Peru and Mexico. But playing a key role in the revitalisation of Hearts – the Jambos sit top of the pile in the Premiership – and earning his first call-up to Alex McLeish’s squad has convinced Brechin-born Souttar he is getting his rewards for his months of torment. Souttar said: “I’ve always wanted to do it so I will relish it. If it does come I’ll make the most of it and it’ll be proud day for my family. It will be a test against the likes of Lukaku, but you can only learn. If I do get the call then it will be brilliant and I’d enjoy it. “I’ve taken a long road. I haven’t played 15 games, I’ve played 150 and I’ve had injuries to deal with too and now that I’m in it’s made it sweeter. I’ve done the hard yards. I’ve gone through a lot to get here. I’m more ready than I was before. 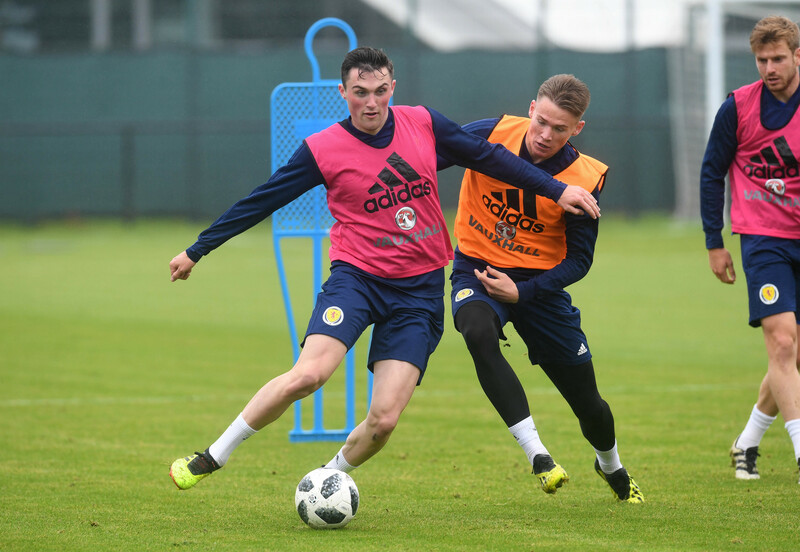 John Souttar holds off Scott McTominay in Scotland training. The 21-year-old would likely have made his debut in the friendlies three months ago, with Jack Hendry and Scott McKenna starting at the back in a more youthful back-line under McLeish. Souttar, however, knew he could not push his hip problem.